I felt the same way about the log cabin. I am used to uniform strips on both sides but this is so effective. Our Bee leader did have us add extra width to the last two pieces of solid background just to make the orbs really pop. Well you got them done! And they turned out so pretty. I am so not ready for June to be over! We’re camping over the weekend, so my sewing time for the month ends Friday. Renee we went camping last weekend. It was fun and I got lots of hexies done. There is nothing like hand piecing around a campfire. What a nice variety of blocks! These blocks are great. 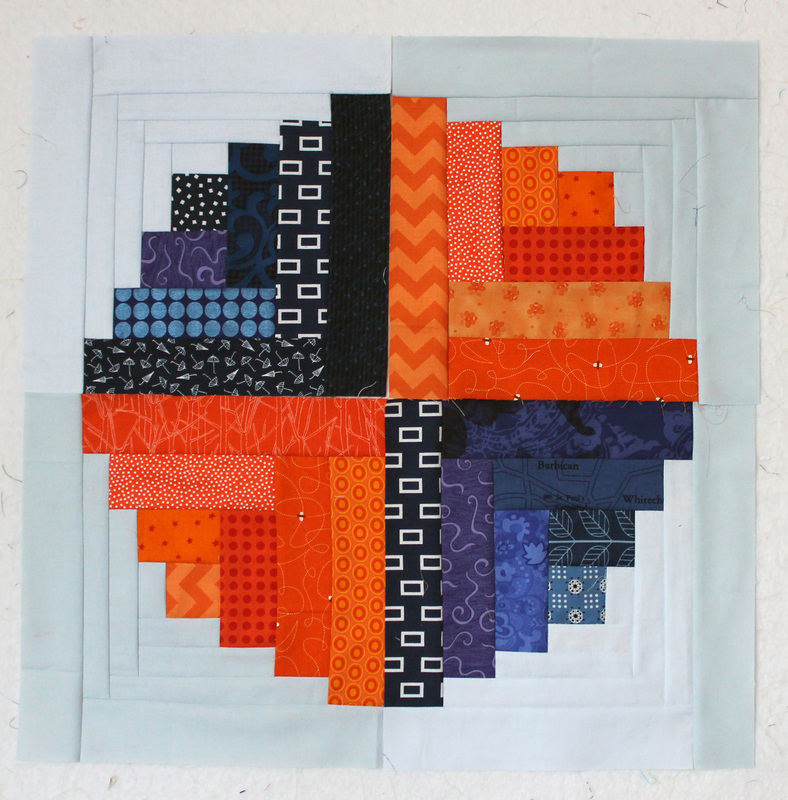 Do you mind telling me what was the width of the strips you used for the orb log cabin blocks? I want to try one for myself. Rachel we used the dimensions in the tutorial (the link in the blog has all the dimensions on a handy PDF) but we did strips N and O at 2 inches instead of 1 1/4 inches in the pattern. Hope that helps. Looking good. 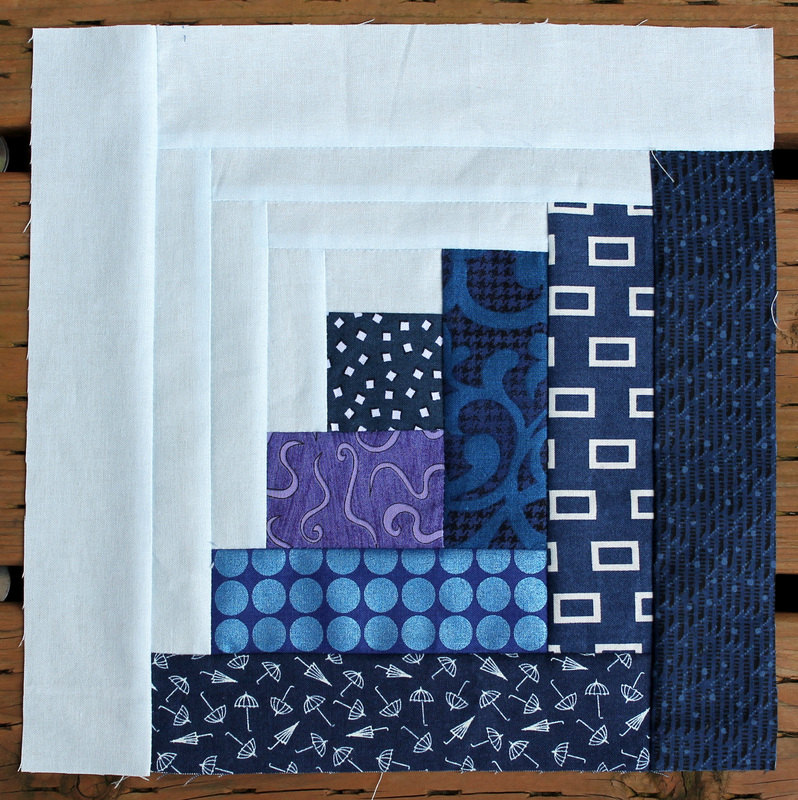 I just love it when people have the quilting bug. So much creativity and enthusiasm. Keep on having fun! Wow the log cabin looks amazing (and amazingly complicated!) – I love it! The mini flying geese are amazing! 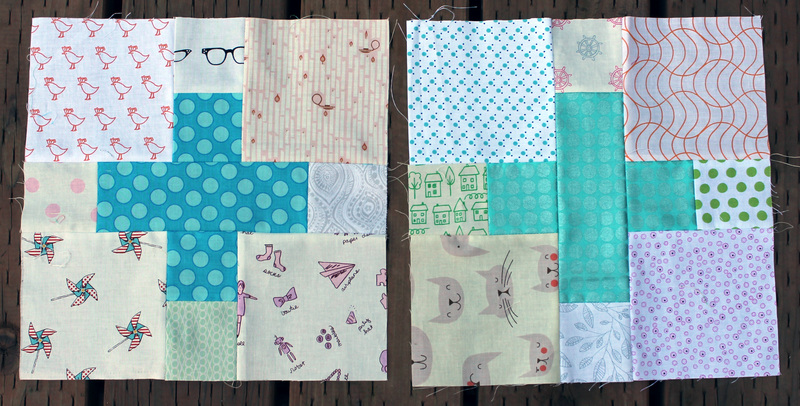 That quilt is going to look so stunning when they are all put together! 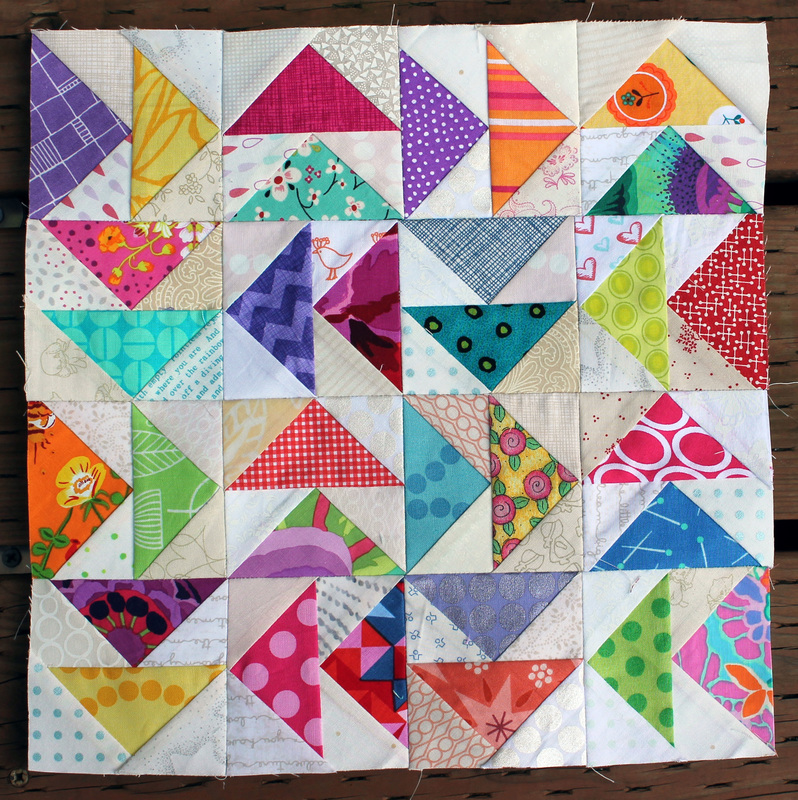 But you’re right – I can’t imagine making more than a couple of those blocks on my own. 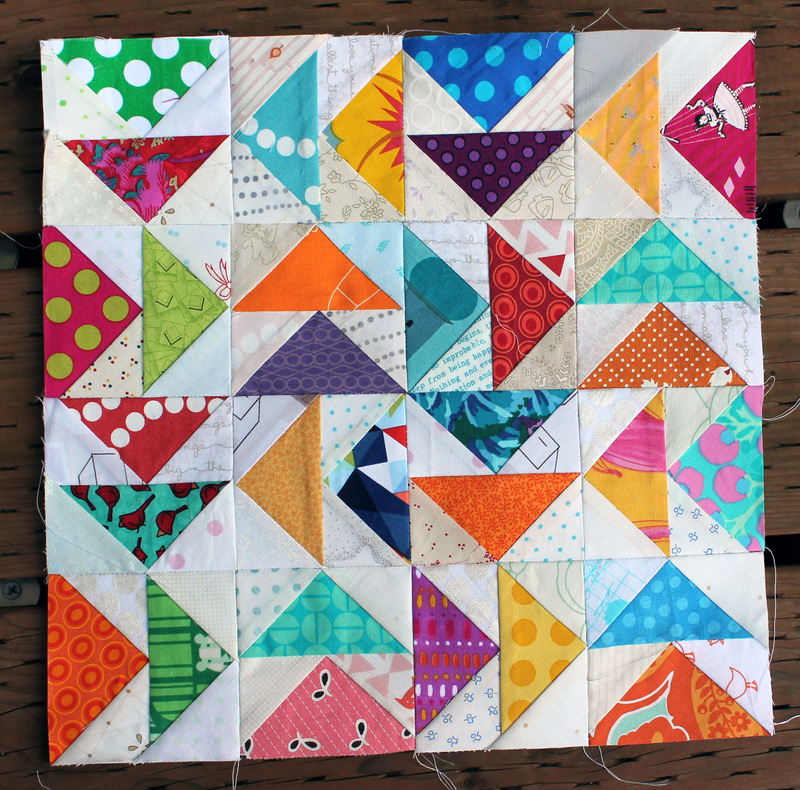 I love that flying geese block – so cheerful and colorful!